La gigantesca aurora polare di Giove, fotografata nello spettro dell'ultravioletto lontano dal telescopio spaziale Hubble. Not only are the auroras huge in size, they are also hundreds of times more energetic than auroras on Earth. And, unlike those on Earth, they never cease. 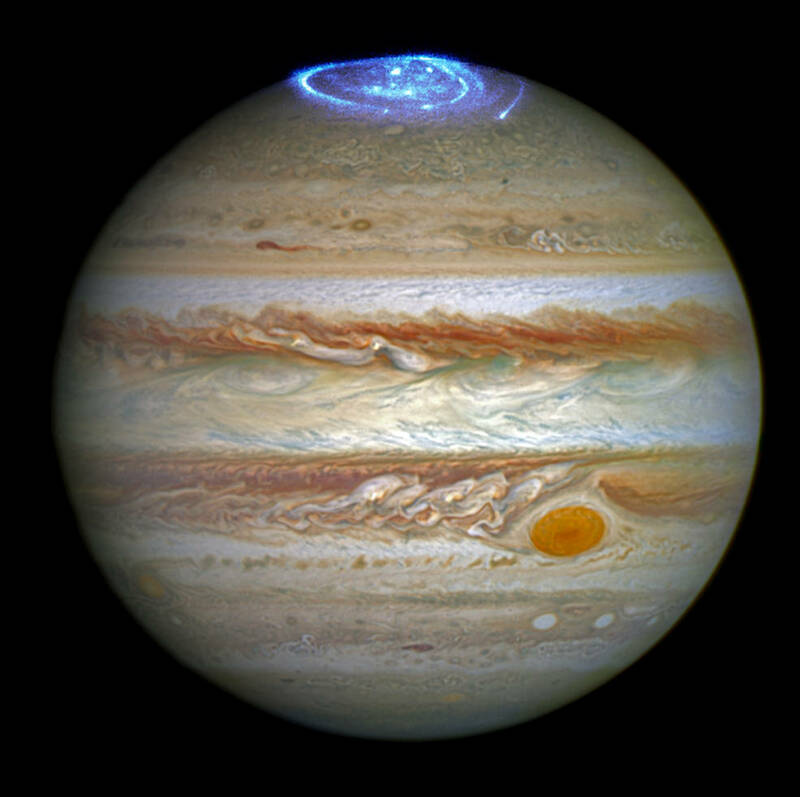 While on Earth the most intense auroras are caused by solar storms — when charged particles rain down on the upper atmosphere, excite gases and cause them to glow red, green and purple — Jupiter has an additional source for its auroras. The strong magnetic field of the gas giant grabs charged particles from its surroundings. This includes not only the charged particles within the solar wind but also the particles thrown into space by its orbiting moon Io, known for its numerous and large volcanoes. Non è un time lapse. È semplicemente lo spettacolo di un'aurora boreale filmata a Yellowknife, nei Territori del Nord-Ovest in Canada. Una recente tempesta geomagnetica ha regalato uno spettacolo inconsueto nel cielo del lago Derwentwater, vicino a Keswick nel nord del Regno Unito. L'aurora boreale è comparsa quasi dieci gradi più a sud del normale illuminando coi suoi giochi di luce il Lake District.